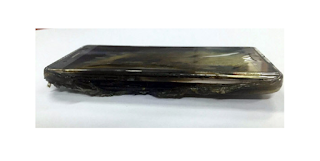 Samsung's worst nightmare situation seems to have come to pass with the latest Galaxy Note7 explosion as last night a six year old boy was rushed to the Downtown Medical Centre in Brooklyn New York with burns after the Samsung Galaxy Note7 he was holding exploded. According to the boy's grandmother Linda Lewis, the boy was watching videos on the phone when the phone exploded setting off the fire alarms in the house. The child has being treated and has long returned home feom the hospital. However the boy is said to be afraid of go nearing or touching any smartphone following the accident. This latest explosion couldn't have come at a worse time for Samsung whose market share had taken a $10 billion tumble earlier today. Although Samsung has initiated its own voluntary recall, it seems the information is yet to fully disseminate to consumers.